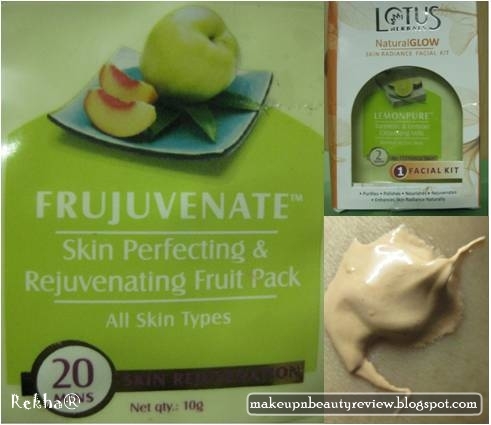 Lotus Herbals - NaturalGLOW - Skin Radiance Facial Kit - Review - Glitter & Gorgeous!! 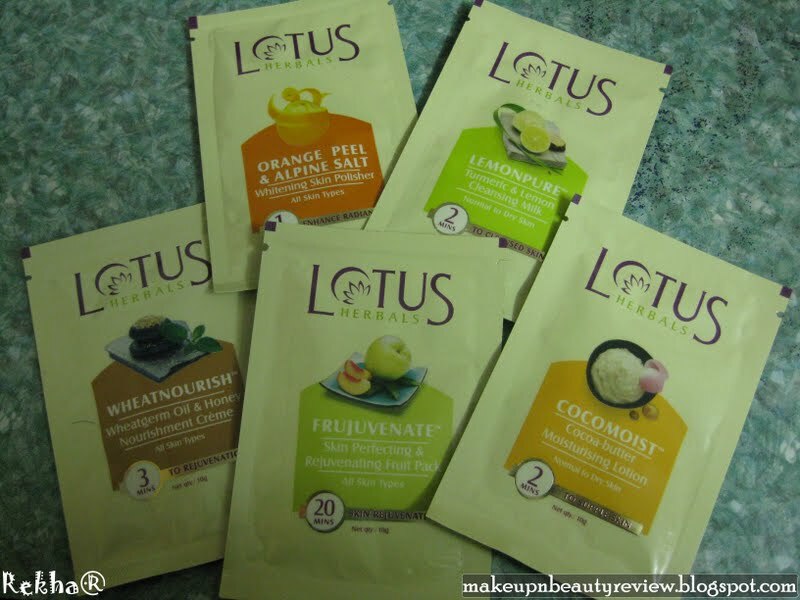 Lotus Herbals have come up with this mini facial kit. I actually read about this in Shalini’s blog here! In fact I picked up the steps to be followed from her 🙂 Thanks Shalini! These are available in any lotus counter, health and glow outlets and super markets which is a plus! Just to let you all know I have a combination skin and my review goes purely based on that! Apply all over face and neck with circular movements. Wipe off with either damp cotton or wash off with water. Works well on removing makeup and dirt, in fact removed my waterproof liner with little effort! Did not hurt my eyes! Made my skin soft after usage! I usually wash my face after wiping the cleansing milk with cotton (as I always feel that the makeup/dirt is still on my face :P) but while washing my face I felt as if I had used some oil on my face! Not sure, maybe it was because of its oil ingredients. Maybe! Otherwise no major complaints, just an observation! Active Ingredients: Wheatgerm oil, Almond oil, Vetiver, Lemon peel extract, Wild Turmeric (kasthuri manjal in Tamil), orange oil. Exfoliates dead skin cells, cleans clogged pores and removes black heads from skin. Refines the skin, leaving it glowing and fresh. 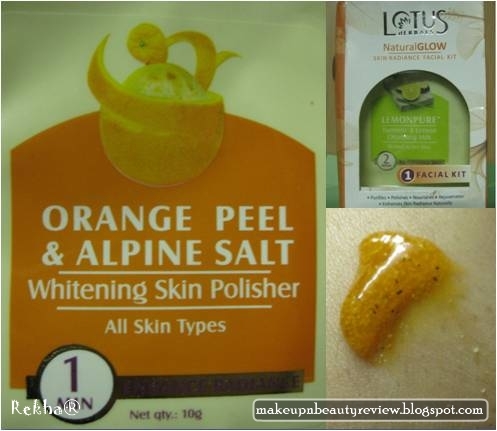 Gently apply the Orange Peel and Alpine Salt Whitening Skin Polisher on moistened skin with brisk circular movements on the face and neck. Rinse thoroughly and pat dry. Use daily to detoxify and enhance skin radiance. No action on blackheads! 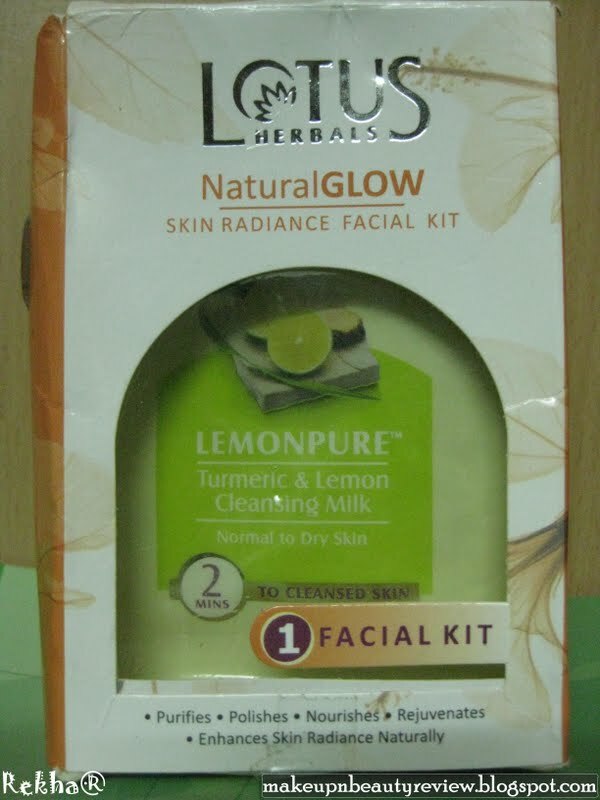 I actually used it after using lemonpure, but sadly it did not even remove the oily feel from my skin L I had to rush for a moisturizer immediately after washing my face with this! Though the packaging, ingredients and the very “orange” word seems inviting, this product didn’t live up to its words! Yeah or Nah: Definitely Nah! An excellent massage cream that provides total nourishment to skin. Regular use brings out a radiant glow. Contains ashwagandha and tulsi known for their anti-ageing properties. Suitable for women below 30 years. Wash face with lukewarm water. 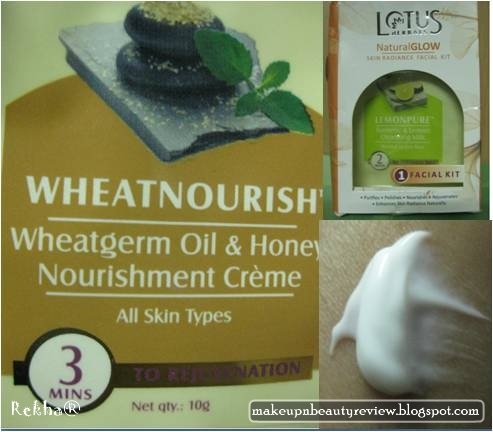 Apply Wheatnourish creme all over face and neck. Moisten hands with cold water and gently massage for 5 minutes using upward and outward strokes. Leave on for 10-15 minutes and remove with damp cotton. It actually looked like a cream, but when I applied it on my face, it did not blend with my skin and I was clueless and started massaging it up and down as prescribed but still nothing happened! Finally I felt as though I had applied a creamy face pack! It neither dried nor blended with my skin! So finally I had to wipe it off my face!! After all this confusion one thing which I noticed was my skin felt super soft after that and even my pores were tightened to an extent! I dint feel all these at all but still this product worked well on my skin! Surprise !! Yeah or Nah: Sure Yeah! Natural alpha-hydroxy fruit acids act gently to rejuvenate your skin, giving over-stressed skin a new vitality & healthy radiance. Firming, nourishing, hydrating & soothing, this pack is a vital weekly pampering, specially for mature skin. pH balanced. Wash your face with mild soap and blot dry. Apply a generous amount of this pack on face and neck, avoiding eyes. Relax till completely dry. Rinse with fresh water. Once applied you could see a little tightening effect (atleast for me which confirms that my face pack is working) and after washing it off with water it leaves your skin fresh and little dry. 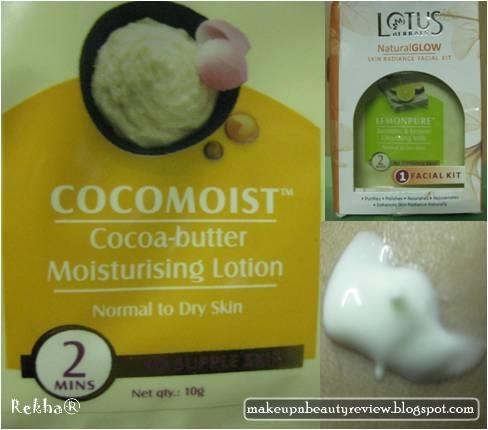 An all-purpose moisturising lotion that promotes soft, silky and smooth skin. Maintains the pH balance of skin and enhances its moisture retention capacity. Apply in dots all over face and neck. Smoothen till skin absorbs it. Before stepping out in the sun, apply in combination with Safe Sun – Sunscreen lotion/créam/gel. One of the best moisturizer I have ever used! I am not a huge cocoa butter fan, because I have used Palmers cocoa butter before, though it worked well on my skin, it never smelled great. Ever since I had been waiting to try cocoa butter products, but due its fragrance I always used to skip them. But since this one came along with this package I thought of giving it a try, but believe me, at very first use I totally fell in love with this product. It has a sweet smell, a combination of little buttery and flowery one J which lingers on quite a while! Yeah or Nah: Should I even say!! Sooper Yeah! Handmade Jewelry – Deepika Designs! THIS LUKS GOOD… LL PICK IT UP SUMTYM . . 🙂 nice review !! 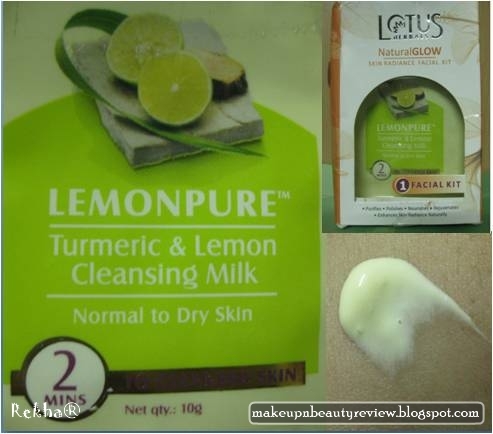 I like lemon pure too..nice review..but I think d sachets for 175 r a lil expensive..
hey, what happened to your travel and living blogg??? hey, i don;t have a dslr yet..its the lense that came with my canon s5..
wow nice.. I have a canon HF20 and a powershot SD1100 🙂 love cannon for its quality!